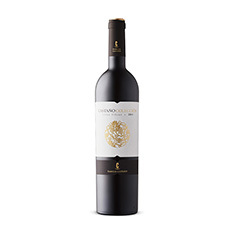 A blend of 80% Monastrell (Mourvèdre) and 20% Cabernet Sauvignon, this wine demonstrates Spanish winemaking skills at using both indigenous grapes (Monastrell/Mourvèdre is almost certainly Spanish in origin) and international varieties to create a wine that is uniquely Spanish. The wine is dominated by ripe raspberry fruit and coconut tones influenced by the use of American oak. At first, it is quite fruit-forward, but then on the mid-palate fine, ripe tannins come in to balance it all out. It finishes rich, long and nicely balanced. Enjoy with roast beef or lamb.